Claim your ‪#‎Free‬ e-copy of Lucky Chance by Marissa Dobson. 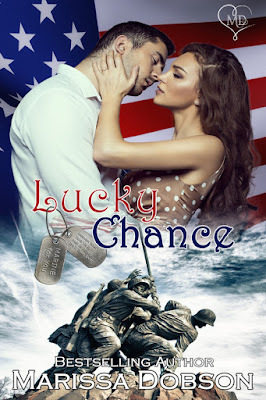 ‪#‎Synopsis‬: Marine Gunnery Sergeant Lucky Diamond has always put his cooking skills to use for the men he served with, bringing a touch of home to the bases. But when he is ordered to take part in a cooking competition to benefit wounded Marines, he wishes he had kept his talent a secret.